Boeing has asked U.S. trade officials to slap tariffs on a Canadian rival it says is gets unfair government support, the latest sign of growing tensions between the two major trading partners. 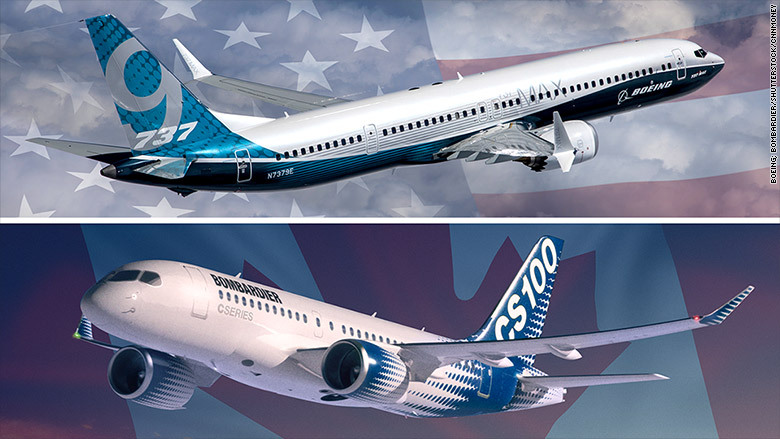 Boeing is complaining about Canadian aircraft maker Bombardier, which until recently sold mostly business aircraft and small regional jets. But now it is getting into the market for larger aircraft that compete directly with Boeing's 737, its most popular aircraft. The request by Boeing comes in the same week that the Trump administration imposed duties on Canadian lumber, charging that those companies also receive unfair government subsidies. Canada has vowed to fight any trade actions by the United States. Boeing (BA), the largest U.S. exporter, filed petitions Thursday with the U.S. Commmerce Department and the International Trade Commission, a federal agency, asking that they take action "to end Bombardier's illegal and unfair business practices before it is too late to prevent significant harm to America's aerospace industry and thousands of good-paying aerospace jobs." Boeing is already cutting jobs. It trimmed employment in its commercial aircraft unit by 8% last year, and announcing buyouts and plans for more layoffs this year was well. 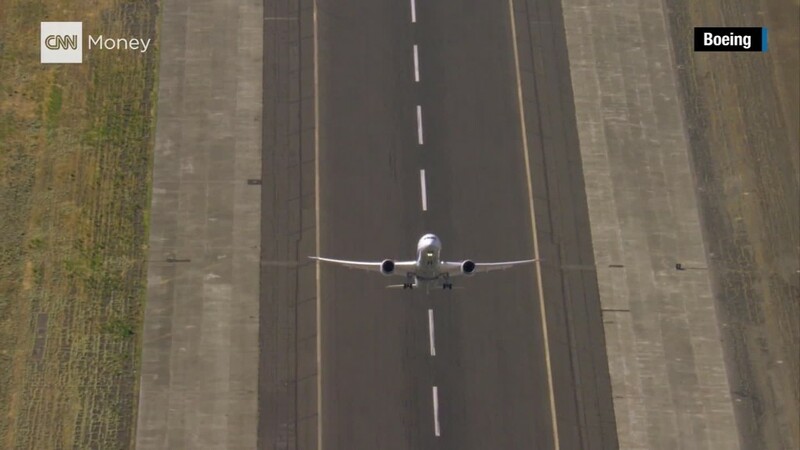 But most of the cutbacks in production so far have been to the lines that build the older widebody jets, not the single-aisle 737, which is about to debut a new version, the 737 MAX, which already has 3,700 orders. Boeing's 737 (top) and Bombardier's C Series. Boeing charges that Bombardier is charging "absurdly low prices" for its new C Series jet, billing less than $20 million for airplanes that cost $33 million to produce. "Notably, it is selling the aircraft into the United States at prices that are millions lower than those charged in Canada -- the very definition of dumping," said Boeing. Bombadier (BDRAF) only started delivery of the C Series jet last year, but already had orders for 360 of the jets through the end of 2016, including 75 from U.S. carrier Delta Air Lines (DAL). It issued a statement saying that it complies with the laws that Boeing cites and points out that any action against it would hurt its U.S. supplier base. "Bombardier is deeply invested in the U.S. economy, with about 7,000 employees in dozens of facilities in both rail and aerospace across 17 states," it said. Bombardier said it spends about $3 billion annually with U.S. suppliers across 48 states, generating U.S. jobs.